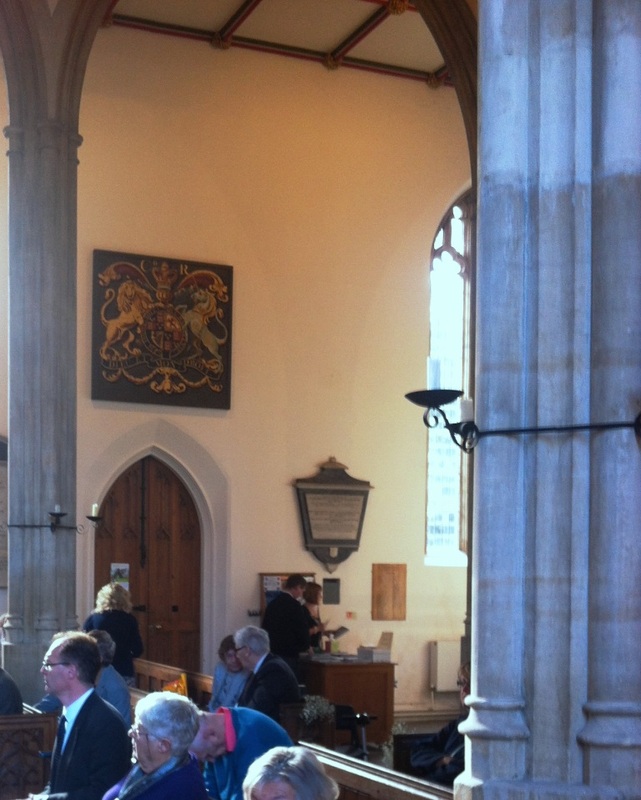 St John’s has been transformed in recent years in a process of restoration and renewal. The first phase of the project was the exterior of the building and we had to replace the roof of the nave and carry out a significant amount of restoration to the tower. 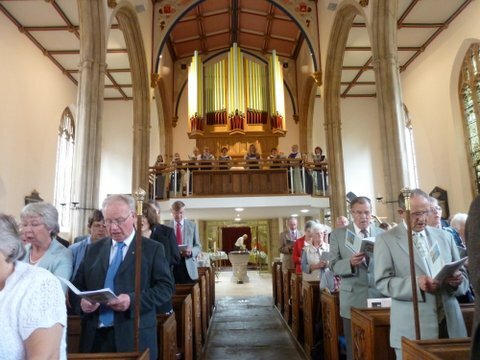 In August 2009 we began work inside the church and remodelled the chancel. As you can see below it was a cluttered and confusing place. 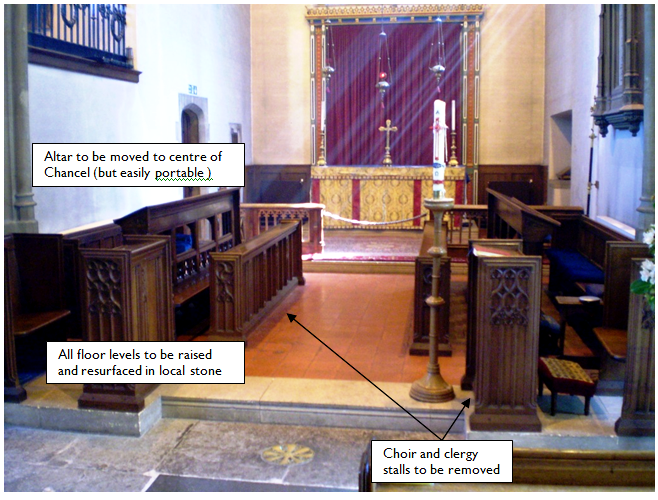 By September our newly re-floored and redesigned Chancel was ready. This new space has become a beautiful and flexible venue for worship, weddings and musical events. New glass doors have been installed in the Lady Chapel and a new glass screen at the front of the St Barnabas Chapel. 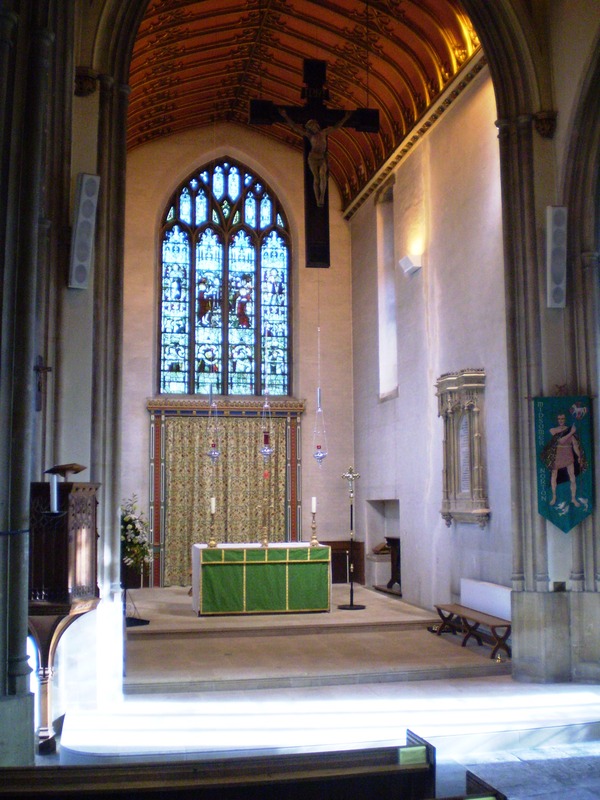 The first months of 2011 saw the biggest leap forward with a complete redecoration of the nave and ceilings. 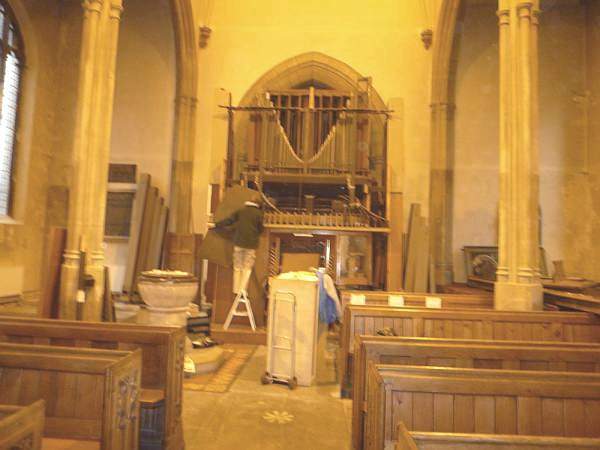 A new Western Gallery was installed to receive our restored organ. The construction work was carried out by Ellis and Co of Shepton Mallet with Ross Banwell as the Site Foreman, the redecoration was carried out by E L Mannings Ltd of Midsomer Norton, the staircase was constructed by Castle Welding and Fabrication of West Pennard and the Glass was fitted by Glazetek. Electrical work and additional lighting was carried out by PRW Group of Midsomer Norton. Finally the organ was restored and rebuilt by Cooke Organs of Westbury with a fine new case designed and built by Stephen Cooke. The scheme was designed by Trevor Eastell of EG Design, Bristol. Over the last twenty years about £600,000 pounds has been spent on the fabric of the building. Initially a grant of over £200,000 was given by English Heritage for work on the roof and tower. Since then we have also received grants from the Diocesan Development Fund, the Ann Harris and Sophia Kelston Charities, the Sperring Charity and others. 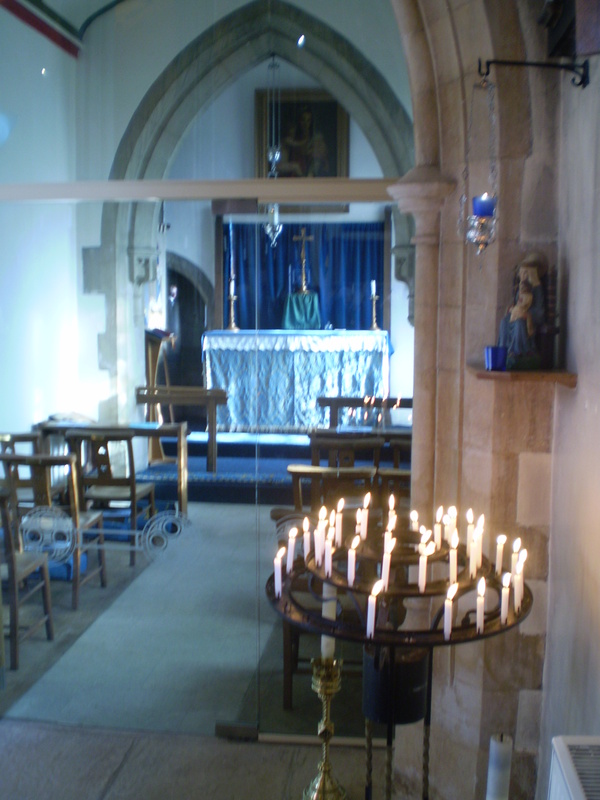 We have also received very generous donations, bequests, gifts, and regular committed giving by members of the congregation and others. 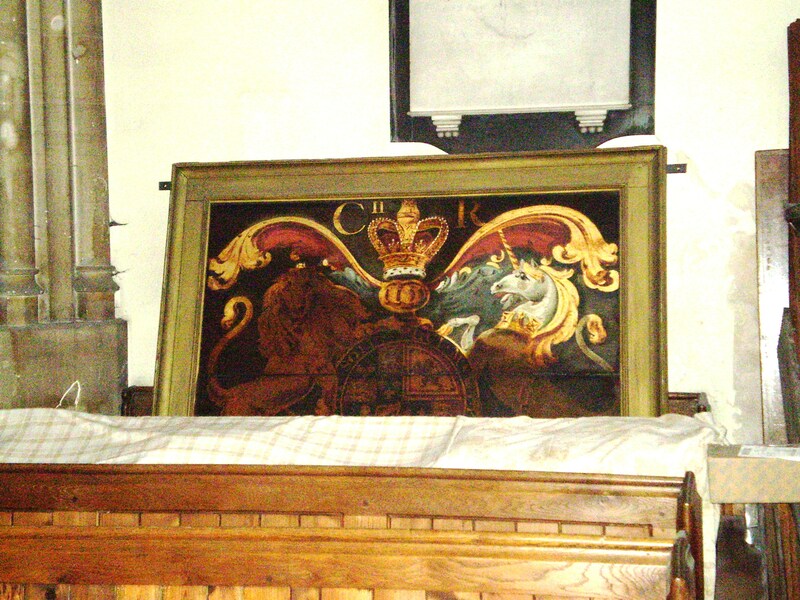 In October 2014 the Royal Arms of King Charles II returned to the church. It had spent many years at St John’s daughter church at Downside near Chilcompton but has now been placed in a prominent place above the south door. There are still a number of smaller but still important projects ongoing. 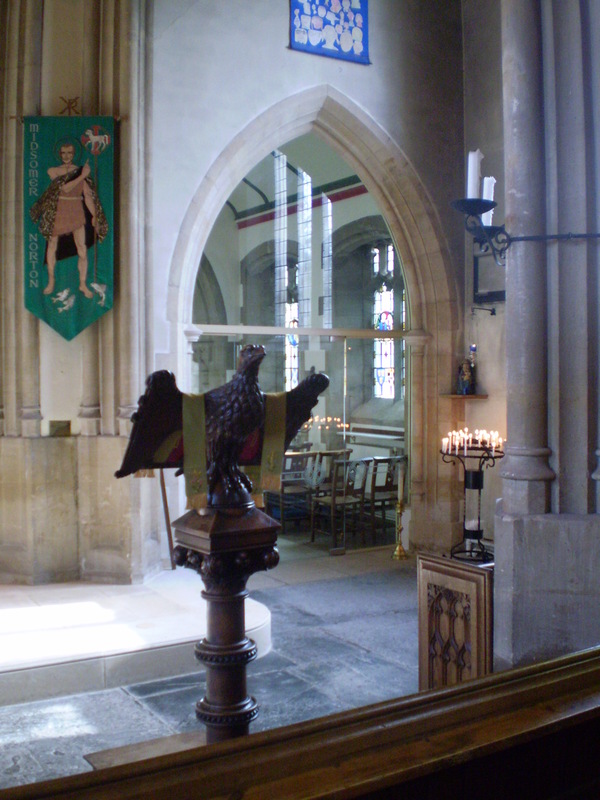 The Midsomer Norton Society raised the necessary funds to return the “Knight” to the church, and work is on going to provide a permanent case for the Knight and also interpretative material. It is good to have the support and enthusiasm of the Society for this significant part of Midsomer Norton’s heritage. Midsomer Norton Society website. He is now back in church.